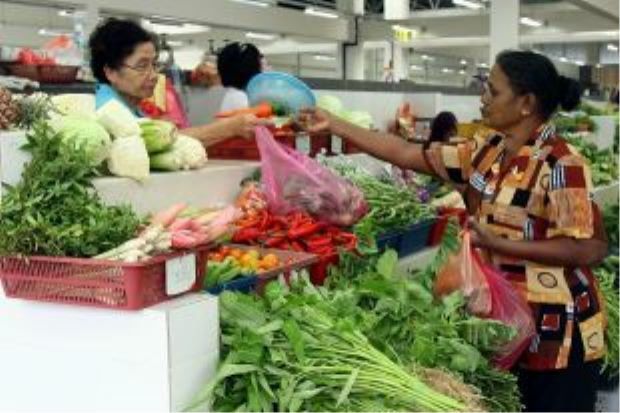 KUALA LUMPUR: Malaysia’s inflation, as measured by the consumer price index (CPI), decreased 0.4% in February 2019 from a year earlier mainly due to the drop in transport component. In a statement Friday, the Statistics Department said the overall index for CPI fell 0.4% in February 2019 as compared to -0.7% in the previous month. Chief Statistician Datuk Seri Dr Mohd Uzir Mahidin said in terms of index number, the CPI recorded 120.8 as against 121.3 in corresponding month of the preceding year. The decrease in the index of Transport (-6.8%) which contributed 14.6% of overall weight was countered by the increase in the index of housing, water, electricity, gas & other fuels (+2.0%) and food &non-alcoholic beverages (+1.0%). “CPI for the period of January-February 2019 declined by 0.5% as compared to the same period last year. On a monthly basis, CPI increased 0.2% as compared to January 2019,” Mohd Uzir said. The Statistics Department said in terms of overall CPI, all states recorded a decrease between 0.2% to -1.4% in February 2019 as compared to February 2018. However, Wilayah Persekutuan Kuala Lumpur and Pulau Pinang showed an increase of 0.3% and 0.2% respectively. Meanwhile, the higher increase in the index for food & non-alcoholic beverages was registered in most states in Malaysia. Wilayah Persekutuan Kuala Lumpur (+3.7% ) and Selangor & Wilayah Persekutuan Putrajaya (+1.3%) recorded higher increases for food & non-alcoholic beverages index above the national index level in February 2019 as compared to the corresponding month in 2018. Pulau Pinang recorded the same rate as the national index level for food & non-alcoholic beverages.